Qiao Feng's story is his quest to find his real identity and the mystery surrounding an event that occured 30 years prior that left him as an orphan. Duan Yu's story covers his meetings with many of his half sisters that he did not know he had (thanks to his adventurous dad during his young days) and the battle with Duan Yuan Qing as the rightful ruler of Dali. Xu Zhu is a lowly Shaolin Monk who gets caught in the middle of an internal struggle of the Care Free Sect, one of the most powerful and secretative sects around. 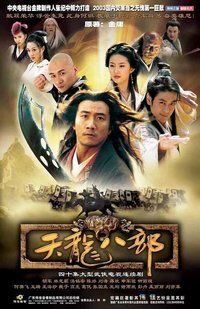 Their stories take place during the Northern Song Dynasty and across warring kingdoms of Song, Liao, Dali, and Western Xia.